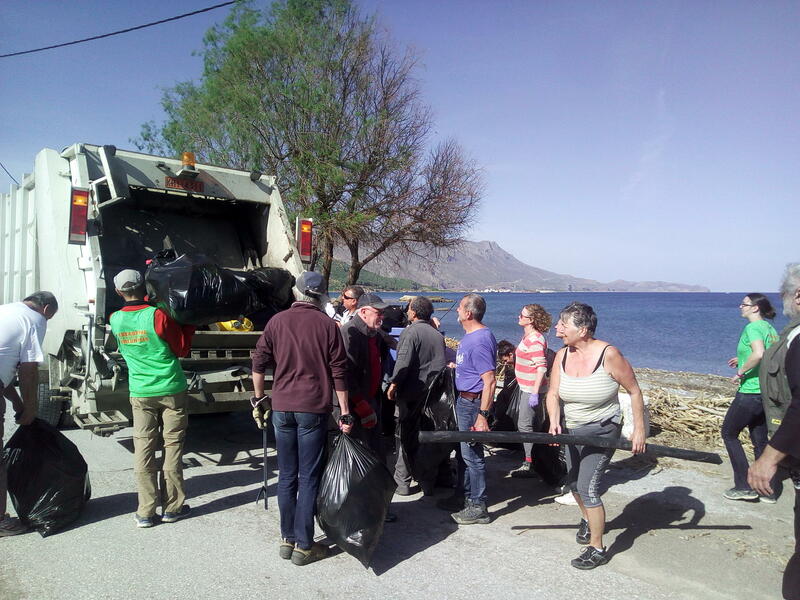 On Saturday 2nd February, many people living in Kissamos and surrounding areas took action and picked up mounds of rubbish near the centre of town. More than 40 people came and went, and contributed to this act of collective good. 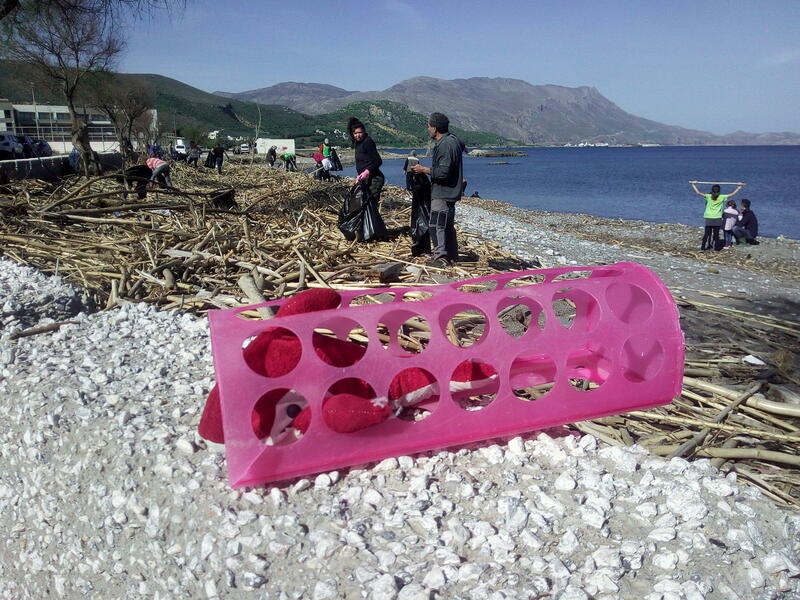 The action lasted about an hour and a half and focused on picking up the (mostly plastic) rubbish around the Pyrgos river mouth and the nearby beach, by some well frequented cafes. 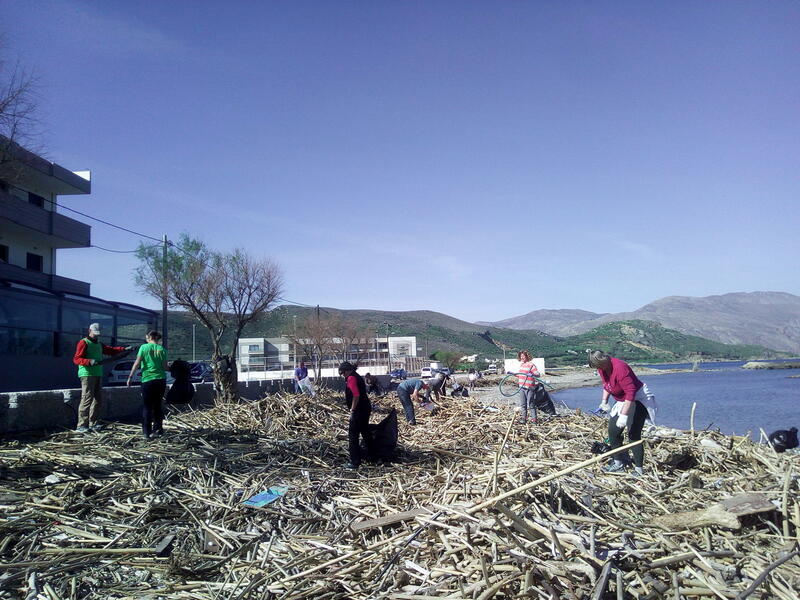 The high attendance and the increasing participation to this kind of event make it clear that many people want a cleaner, better place, and will spend their free time to make it happen. At the end, a rubbish truck was called and the cleaners enthusiastically sent all the trash the right way!